Neville is in his early eighties, and he lives in Moriarty, Tasmania. Tasmania is an island south of Australia, and if Neville took his W kayak to the beach and paddled in the Southern Ocean southward, he should eventually reach nearby Antarctica, at least in principle. 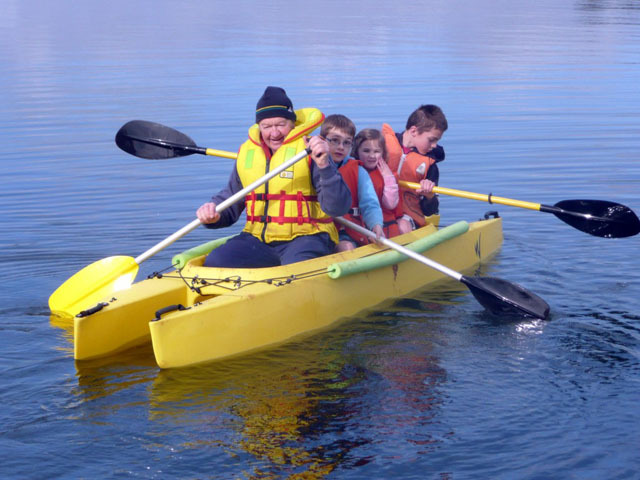 While we don’t know if Neville has such plans, he certainly seem to enjoy taking three of his grandchildren for a paddling trip on board his W kayak, and let it be known, officially, that by doing so, captain Neville and his hardy crew broke the world record for the maximum number of passengers on board a W kayak, which from now on is four passengers, I.E. a full Double-Tandem!! Thanks to Neville and his crew. Great post, and fun to read. 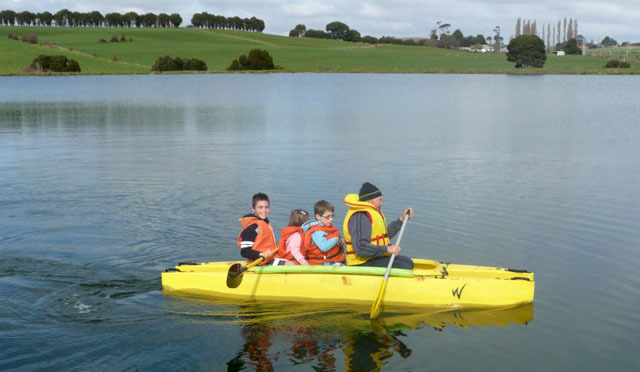 I’ve been in kayaks with kids on board, and that can be quite challenging, especially when they start getting excited, and move in unexpected ways… but no apparent stability issues in this case, and that’s great.